Need specialized handling? Let us do the worrying. When it comes to your unique item, we take care of the details, from loading and unloading to providing extra coverage. Some commodities can be especially difficult or sensitive to move. That’s why Wheaton Logistics Services (WLS) offers complete, professional loading services, utilizing air-ride trailers that come equipped with straps, decking material, furniture pads, and more. But logistics is more than simply loading a truck—it also means coordinating delivery to bring commodities on schedule, and it means honoring date commitments. We’ll confirm these commitments in writing, and coordinate by phone prior to your driver’s arrival. Medical equipment and laboratories with biological substances are often time and temperature sensitive, and you need a mover that understands how crucial it is for these commodities to arrive unscathed. At Wheaton, we have experience in loading, packing, securing, and unloading sensitive medical devices and equipment. 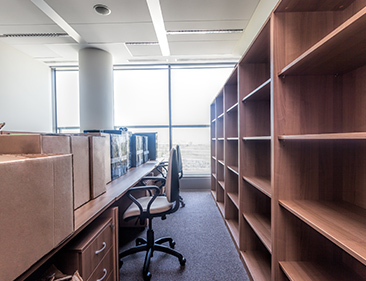 When you’re undergoing a corporate relocation, it can be stressful. In the digital age, office equipment isn’t confined to filing cabinets and desks. Oftentimes, moving your office means moving computers that contains crucial information necessary for your business to function. Wheaton gets it, and that’s why we take care to carefully load, secure, and unload your office (and even industrial!) equipment. If you still have questions about whether Wheaton is right for you, check out our partnerships page to see some of the other organizations we work with. You can also review our legal information for your own peace of mind. Then, when you’re ready to request a competitive quote or to ask any questions, please email logistics@wvlcorp.com.